One in every three women will experience domestic violence in her lifetime. Domestic violence has a profoundly negative impact on children, families and entire communities. It affects all of society, not just the victims. Join the ACCESS Domestic Violence Awareness and Treatment Program in spreading awareness and empowering hundreds of women and families to take back their lives and live without fear. Your donation will help provide survivors and their families with essential services. 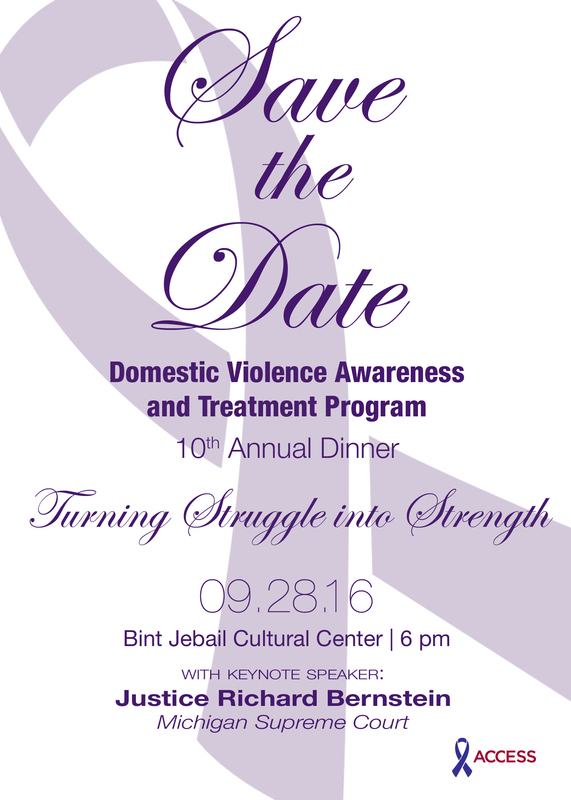 Table Sponsors: $750, $1500, $2500 and $5000. For more information, contact Hussein Saleh at 313-216-2225 or hsaleh@accesscommunity.org.